Julie joined the Governing Board in 2009. She has been coming to The River since 2001. She has been a member of the Global/Local small group for many years, and also serves on the Greeting Team. Julie has been a leader and participant on various River ICE trips, and enjoys learning about other cultures and languages. 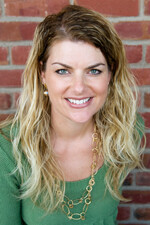 Julie has worked as a Family Nurse Practitioner at the Indian Health Center in San Jose for eight years.